I fully expected to hear a lot about numbers. The Topic was Funding Your Business Growth and the panel was comprised of bankers and lenders. Wow. I was very wrong in a very, very good way. 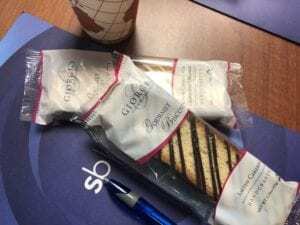 We munched on some amazing biscotti from Giorgio Cookies and had an amazing conversation with our panelists as they candidly answered the specific questions from our attendees. Moderator Pat Carpenter, three-time start-up veteran and co-founder of X-Squared Angels, started where every conversation about funding should start: with our bankers. Robert Eggleton and Paul Erwin, Commercial Lending Officers, and David Tedford, SBA Business DevelopmentOfficer, at State Bank. They, in turn, introduced Julie Orr from Community Capital Development Corporation and Kim Coleman from ECDI (Economic & Community Development Institute) or Community Capital Development Corporation. Kenneth Hamilton of Central Liberty Landscaping asked, “How important is it to keep each revision of your business plan?” The answer, yes. The key takeaways for me were all about communication and relationships that enable healthy growth for a business. Your business plan is an extremely important communication tool, and you should be updating it and discussing it regularly with your lender. Most people are familiar with the concept of a “one-pager” in marketing that concisely presents the most salient points of your sales message. We call them different things: leave-behinds, flyers, sell sheets, capability statements, etc. Having a single page that presents your business plan is a document that helps you “sell” to your strategic business partners – such as your lenders or investors – the benefits to them if they support you. There is a very real risk of “growing into bankruptcy”. The lack of working capital is the most common reason for business failure, second only to poor management. That’s where the strategic partnership with your financial advisors – again your banker or lender – becomes important. Banks have zero tolerance for risk. If they turn you down for a loan, it doesn’t mean you have a bad business plan. It simply means that you may be better served with an alternate form of borrowing. It was Julie Orr from Community Capital Development Corporation who said :“No is a love word.” She meant that the reason for denial may be exactly the information that a prudent business owner needs to hear in order to make critical adjustments. You need to understand why they are saying no. Why “No” is a Love Word in Business. “No” isn’t the end of the road, either. For many businesses, conventional lending will not be the best option but your banker can orchestrate a loan guaranteed by the US Small Business Administration or can facilitate a relationship with funding sources through entities like ECDI (Economic & Community Development Institute) or Community Capital Development Corporation. 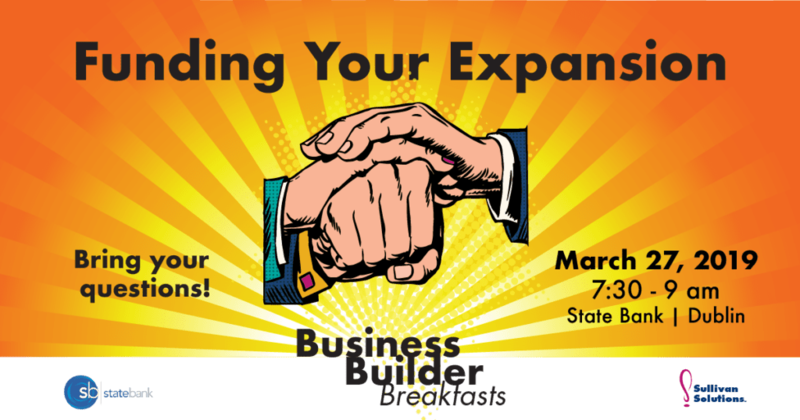 If your growing business requires capital, start your own conversation with any of our panelists. They demonstrated a fabulous understanding of small business funding. Join us April 24 as Sharon DeLay from GO-HR will show us The Art of the Stay with insights for navigating the current talent pool and human resources landscape.